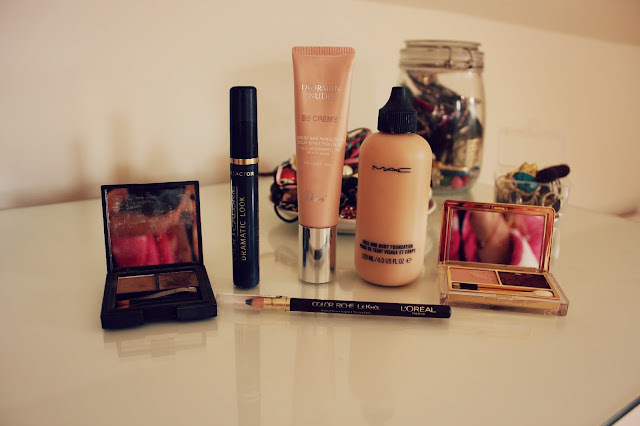 This month I have both discovered new products and re-discovered old ones! I went on holiday and got back a couple of days ago, my staple holiday foundation is Mac Face and Body foundation. You can either wear this as a really light coverage or you can build it to exactly how you want it, I love wearing this as I personally wear it quite light so it hardly feels like I'm wearing anything in the hot weather. I also bought the Diorskin BB Cream and wore it everyday before I went on holiday, I find it so odd how I've been loving products that are lighter coverage as I usually apply as much coverage as I can get! I also bought the Estee Lauder Raisins Eyeshadow Duo after hunting it down! It's such a pretty duo, I did a full review here so check that out if you want to read more! I was struggling to find a good product for my brows, I bought a brow pencil from L'oreal which I really don't like but then I found my Sleek Brow Kit in my dressing table and have been using it ever since! I find the wax really makes a difference to my brows so I use that before the powder, I just get such a lovely shape with this product! I really have nothing negative at all to say about the Max Factor 2000 Calorie mascara, I think it's my all time favourite! This means it beats the Benefit They're Real Mascara, which is great as it is so much more affordable! Honestly it is a fabulous mascara and my eyelashes are not the best, they are quite long but very straight, with this on they look so much better! Finally I've been loving this pencil from L'oreal in the shade Pure Espresso, before I was using a pencil from L'oreal which I think they either discontinued or repackaged/renamed. This pencil is a matte brown, the one I was previously using was slightly iridescent so I find the new one a lot more wearable, I've been using this on my upper lash line and also on my waterline! I love a really full coverage too! But with this weather, we all need to opt for the lighter option! 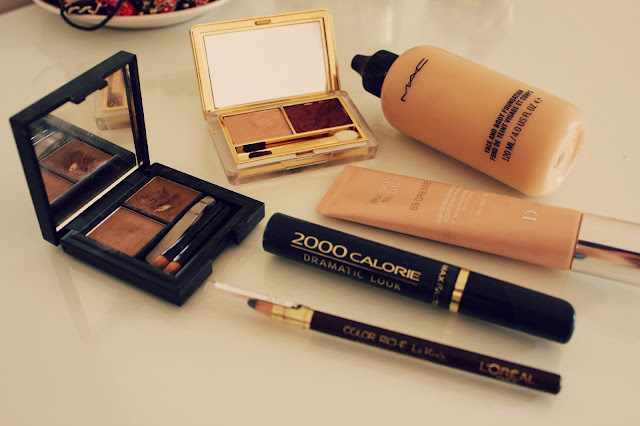 Georgina you've give me major product lust! Although I didn't get on as well with the MAC Skin and Body as you did.. I'm a Studio Sculpt girl at heart! Loving the look of everything else though. I blame you if I go into Debenhams and come out pennyless! I've been lusting after the Estee Lauder Raisin Duo for so long! This Raisin Duo looks gorgeous! Oooh Dior BB cream looks good, I may have to invest.